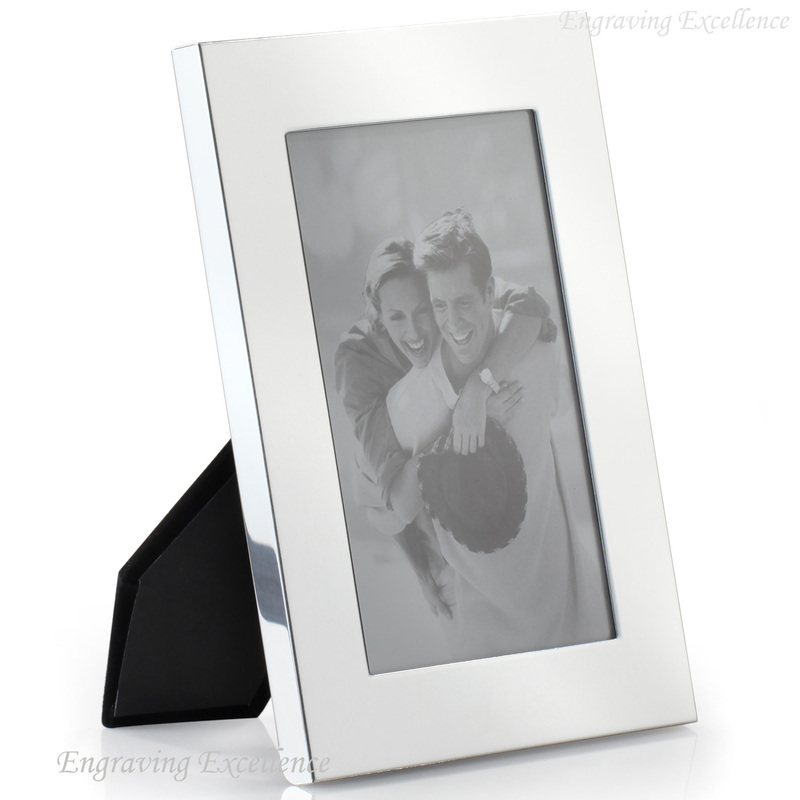 A lovely shiny photo frame. 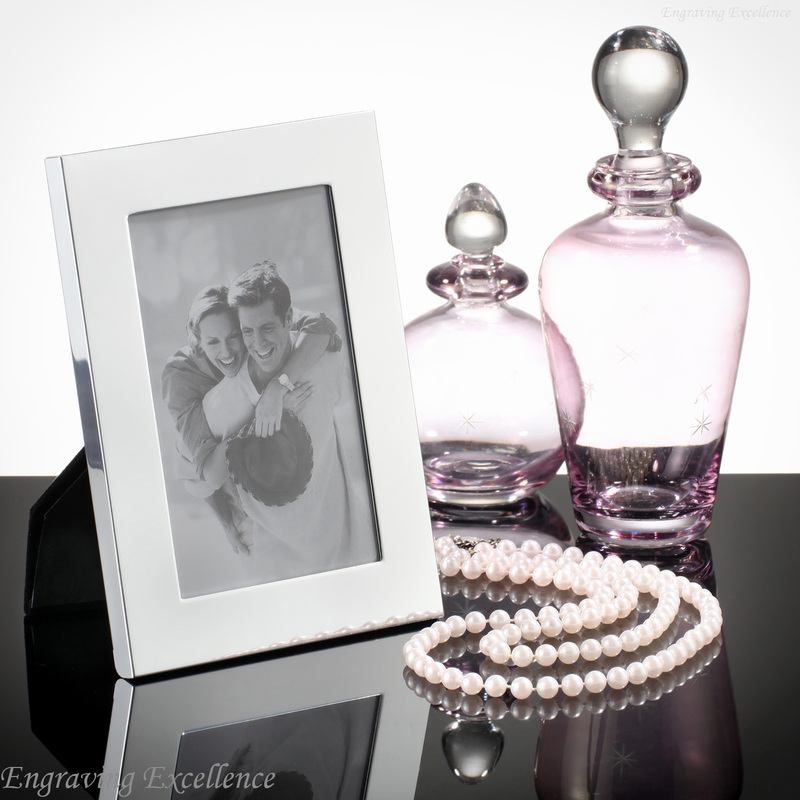 Perfect for pictures of those special occasions. It's especially appropriate as a wedding or birthday present. This frame is engraved in portrait mode. On this frame we engrave up to 4 lines of 30 characters each (including spaces), two lines along the top border, and two along the bottom.